Hold on to Your Hat – It’s High-Speed Journey Mapping! Can you imagine having only three minutes to create a high-level journey map? Or five minutes to define a touchpoint? Who would ever dream of creating a customer journey map, complete with persona, detailed touchpoints and emotional mapping, in less than an hour? Sound crazy? It is – crazy fun! Set to a “Speed Dating” theme, speed mapping is an exciting way to learn about customer journey mapping. Participants roll up their sleeves and make a mad rush to complete the various stages during a series of timed exercises. It quickly breaks down the common barriers to learning what may have seemed like an insurmountable task. 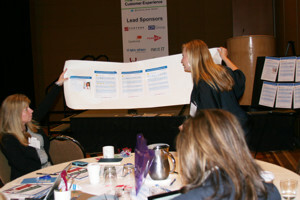 Over 80 Customer Experience Professionals attended Speed Mapping at the Next Generation Customer Experience Conference on March 18. They had innocently signed up for a Customer Experience Journey Mapping workshop with no idea of what they were in for – and they were in for a big surprise. This was no “sit back and listen” session. Having extremely short times to complete several exercises (giant timers flashed on the screen), everyone quickly caught onto the fast pace. They were grouped into “silos”. They completed a high level map. As silos, they detailed one of the touchpoints. 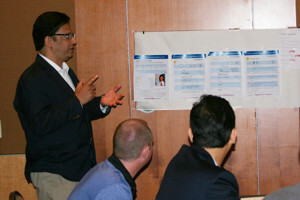 Silos were broken down as groups were joined together to connect their touchpoints into continuous journeys. In just a few short minutes, teams were cooperating, selecting touchpoints to innovate, and finding ways to WOW their customers. There were journeys everywhere – on tables, easels, floors and walls! 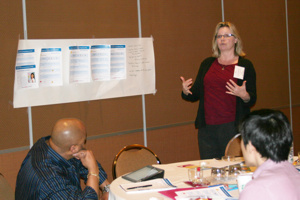 During the final exercise, many groups had 1 minute to present their journeys. The results were amazing. 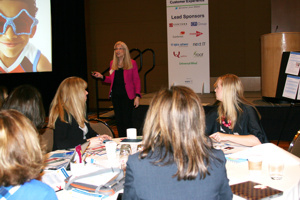 These professionals took touchpoint to new heights and, together, made this workshop a huge success. Whew! That’s a lot to accomplish in just one short hour! Do YOU have the Votes to Change? You put together the very best Customer Experience Strategy ever invented. It’s so cool that it’s the envy of all — the best created in the world. Yet, for some reason, it isn’t working. No one is following it. It was printed and distributed, and then filed away, never to be seen again. Just like your business strategy, this is a top-down effort. In fact, your Customer Experience Strategy has its core based in your business strategy! Nothing will kill it faster than neglecting to have the full buy-in from your top Generals. If your CEO and executive management don’t cast a “pro-vote”, your efforts will fail. Make no mistake about it — this is a true cultural shift. 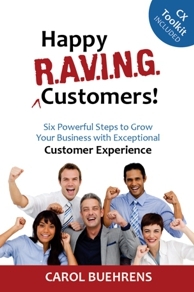 For your company to be a successful “Customer Experience excellence leader”, your employees need to live and breathe your customer experience strategy. Everything they do must be on behalf of their customers. Your customers won’t feel the love if your employees aren’t giving it. You need devoted, dedicated, unwavering leaders to help your employees make this change. Without the right “votes”, you won’t get your CX strategy off the ground. In my new book, Happy R.A.V.I.N.G. Customers!, “Chapter 5. V = Vote to Change” focuses on how you can take care of politics and get your leaders aligned with customer experience.